In ACT Theatre's "Romeo + Juliet," Joshua Castille, as Romeo, will discourse primarily through American Sign Language (ASL). Gabriella O’ Fallon, as Juliet, will deliver her lines in spoken English. Shakespeare’s text has gone through a several-step translation process, then turned into ASL poetry. 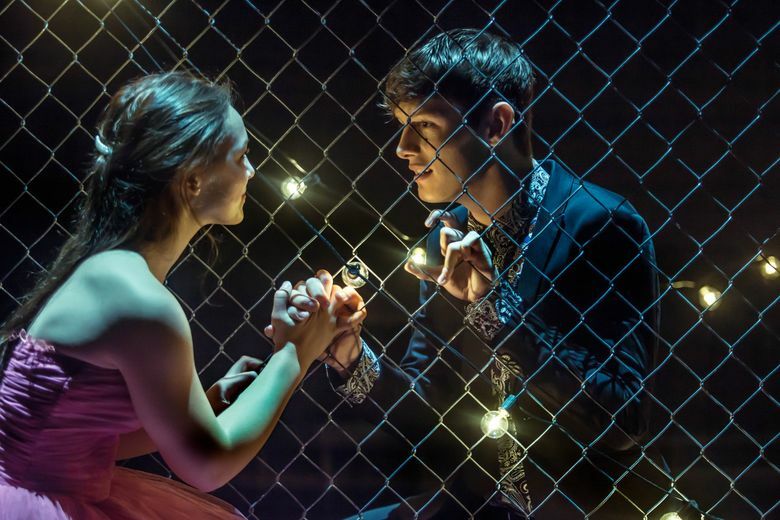 The star-crossed teen lovers do a lot of talking in Shakespeare’s romantic tragedy of “Romeo and Juliet,” which contains some of the richest, most passionately lyrical verse in the Bard of Avon’s canon. 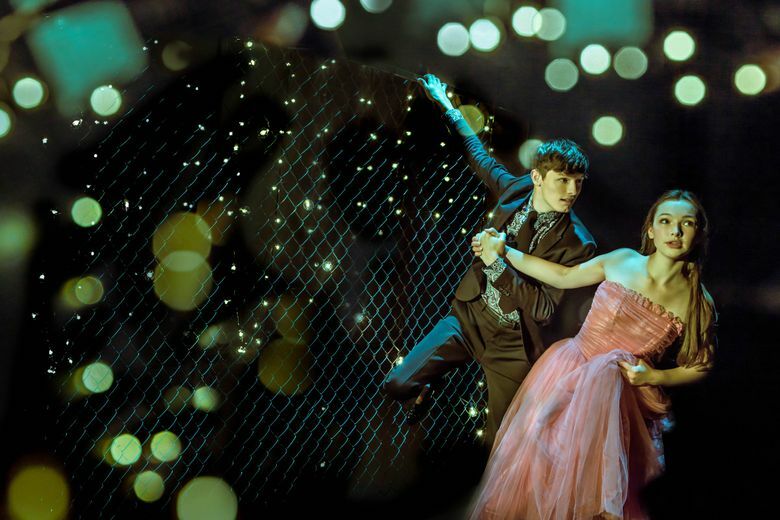 And the pair will have plenty to say in the new ACT Theatre production — but they will be speaking the speech in two different languages. Noted deaf actor Joshua Castille, as Romeo, will discourse primarily through American Sign Language (ASL). And winsome Gabriella O’ Fallon, as his fair Juliet, will deliver her lines in spoken English. At a recent rehearsal of the pivotal ball scene, where the two offspring of the feuding Capulet and Montague families first set eyes on one another (and clamp lips), director John Langs was refining some complex choreography with the ensemble. He was assisted by several ASL interpreters moving around and through the action to translate his comments for the cast’s two deaf performers, Castille and Howie Seago. At one point, Langs spent time concentrating on a speech by Romeo that was simultaneously signed by Castille and vocalized by Amy Thone, who also plays Juliet’s nurse. The two ran through the monologue again and again, aiming to more perfectly synchronize the tempo of the signs and the words. But how to simultaneously convey to both a hearing and deaf audience some of the most glorious, complex verbiage in Western literature — including blank verse garlanded with metaphors (“My lips, two blushing pilgrims stand …”) and similes (“My love is as boundless as the sea …”) — in a text that also interweaves numerous sonnets (14-line rhymed poems)? It is a precision-tooled undertaking, Langs acknowledged by phone, during a quick dinner break between rehearsals. 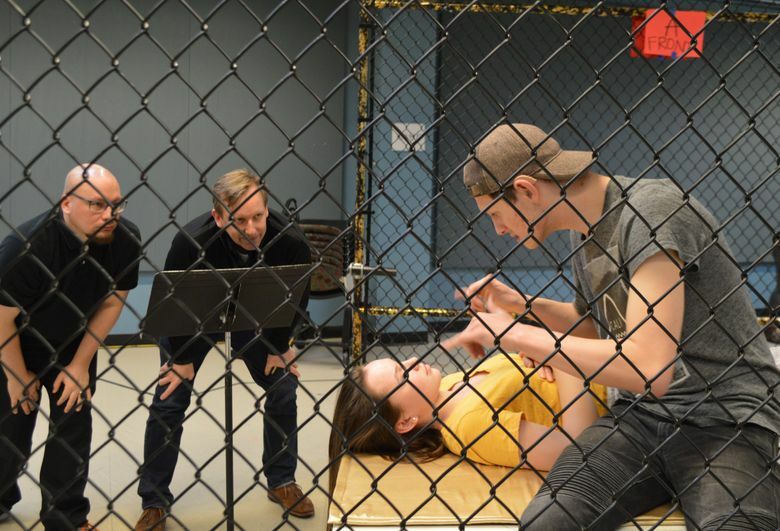 The director, who is also the artistic head of ACT, has staged “Romeo and Juliet” twice before — in a lovestruck, kinetic modern-day version for Seattle Shakespeare Company in 2005, and with a student cast at the University of North Carolina School of the Arts. He was especially moved and inspired by the “hopefulness and commitment” of the hundreds of thousands of young people who joined in the national March for Our Lives a year ago, to protest gun violence after the mass shooting at Marjory Stoneman Douglas High School in Parkland, Florida. Castille’s Romeo signs his lines as they are spoken by other actors, individually and chorally. Four designated performances will be fully signed by ASL interpreters, for deaf patrons seated in a specific section of ACT’s in-the-round Allen Theatre. And, Langs points out, “We also have tablets available for anyone who wants to read the play as it goes along,” in a closed-caption system that can be set up at your seat by request. Shakespeare’s text, adapted by signing coach and deaf Seattle writer Ellie Savidge, has gone through a several-step translation process. “Translation one is just deciphering what Shakespeare is saying,” explained Langs. “Then it’s translated into ASL. And then that is turned into ASL poetry.” A distinct, dramatic form of sign-language storytelling, ASL in poetry mode uses gestures and facial expressions to evoke such poetic conventions as repetition, rhyme, alliteration, rhythm and meter. Sorting out the lines of communication between Romeo and Juliet, their Capulet and Montague clans and others, has required considerably more preparation, acknowledges Langs, than the usual ACT production. But it’s an investment of time and creativity he values.